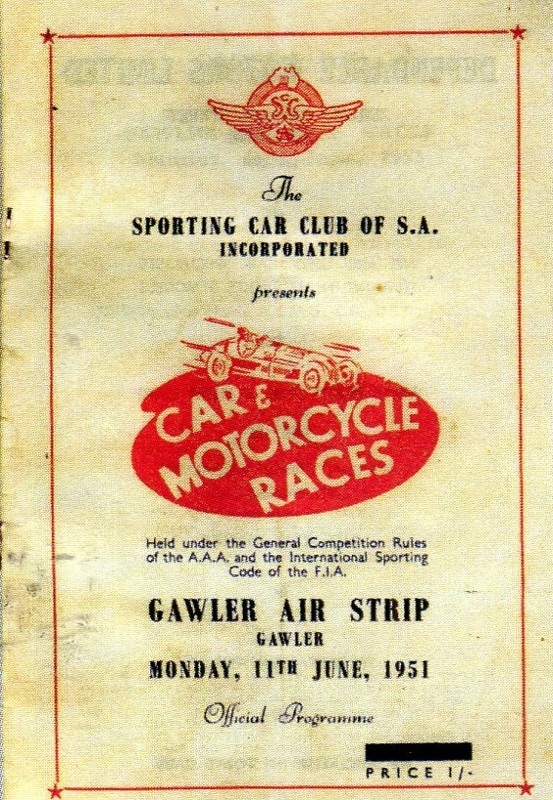 At some time just prior to 1947 a three quarter mile square grass track was marked out with flags and raced on in a paddock next door to the Gawler Airstrip. 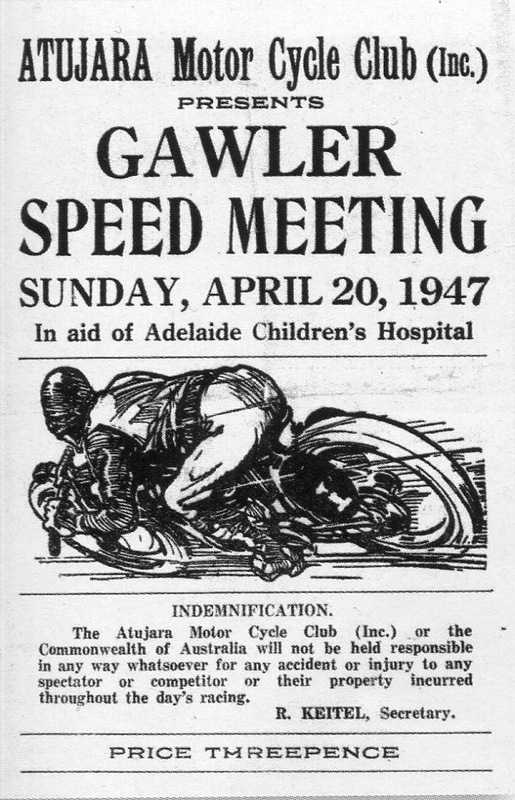 Motorcycles first made an appearance at the circuit on the 20th of April 1947, The racing was organised by the Atujara Motor Cycle Club in aid of the Adelaide Childrens Hospital. The circuit length was about three miles in length, running up and down the East West runway with a deviation onto the Northern runway. 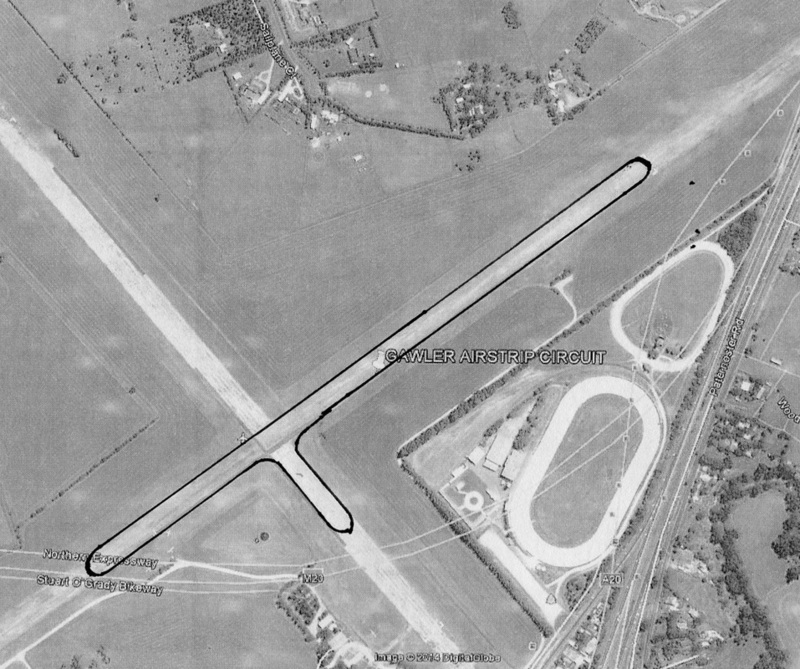 Car racing was introduced during 1950 on a simular marked out circuit as the motorcycles, the difference being the diversion was on the South runway. 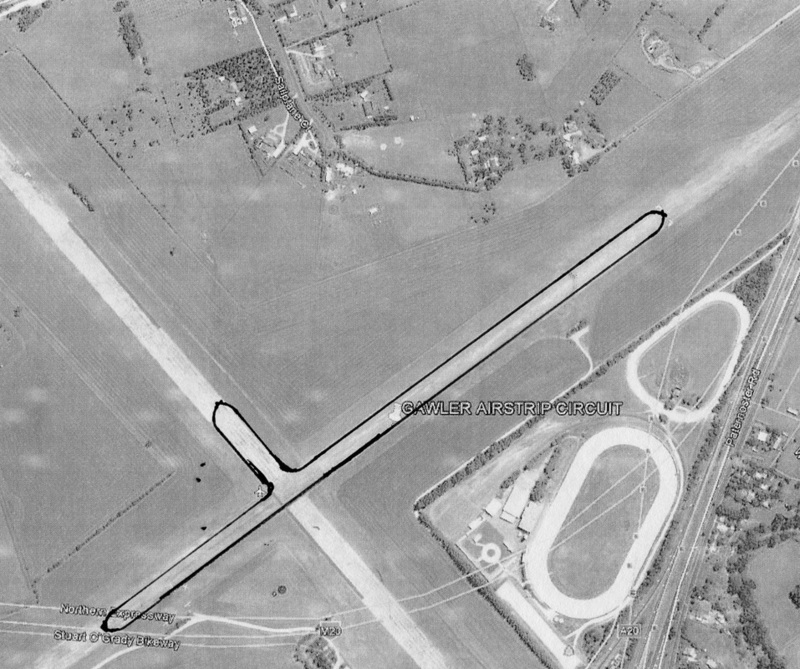 More car races were staged in 1951 along with the bikes on the same circuit, however the diversion was changed yet again back to the North runway. With the opening of Port Wakefields Brooklyn Park Speedway, operations at Gawler Airstrip soon ceased. 1951 - Motorcycle event start line. 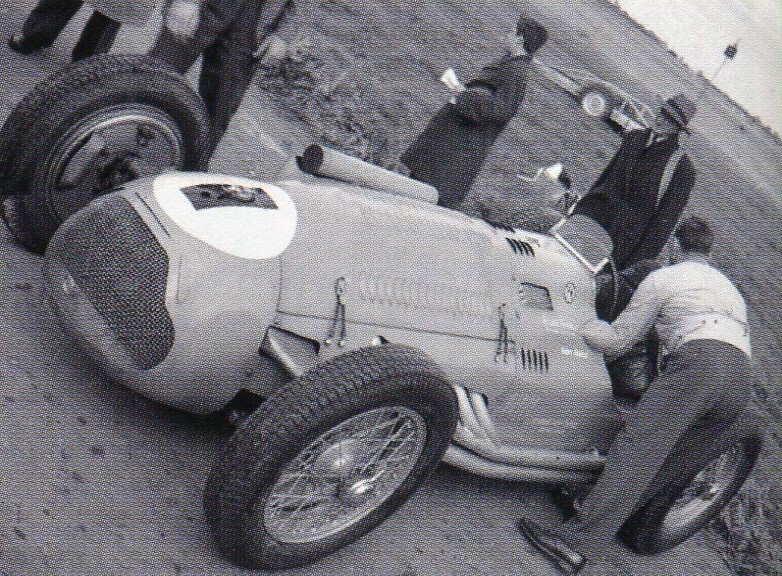 1951 - Doug Whiteford's Lago Talbot. Photo: Doug Voss.